Engine Oil 101: Which One Should I Use? You might think that picking engine oils for your car is as easy as beefing up your child, just shove random stuff in and hope for the best. Unfortunately, you have to be really careful about which engine oil you’re using if you want your car to live a long and healthy life, and the most crucial step is right at the beginning. Picking engine oils isn’t as easy as choosing between RON95 and RON97. You have to be extremely careful about which engine oil you’re using if you want your car to live a much longer lifespan. So we’re here to help you choose the right engine oil for your type of engine. Typically, there are 4 types of engine oils for you to select from. Here are the 4 types, and what kind of engines they’re best suited for. Mineral oils are, quite simply, obtained and refined from nature. This means that it’s the same type of oil dug up and processed at a refinery for it to be usable for cars. When to use it: During the “breaking in” of your new car, you’re required to drive around for 1000km or 3 months, whichever comes sooner before you take it for your first service. Typically, mineral oils are used during this time due to the cheaper price. Contrary to popular belief, synthetic oils are not fake, processed oils. Most fully synthetic oils have a mineral oil base, and are chemically engineered to be more stable at optimum temperatures. Fully synthetic oils also allow for a higher mileage, and often contain additives to keep the oil cleaner for a longer time. 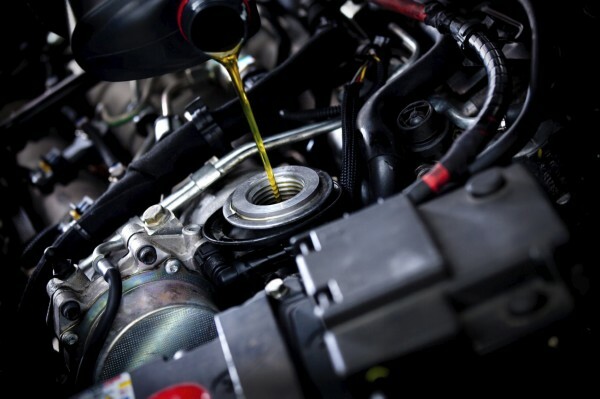 When to use it: By the second service session, you can opt for the fully synthetic oil, depending on your budget (prices might get a little on the high side) and the engine oil compatibility of your car. Semi-synthetic oils are a hybrid of mineral and fully synthetic oils. It’s usually made up of 30% fully synthetic oil added with 70% mineral oils to provide the benefits of fully synthetic oil at a fraction of the price. When to use it: Most modern cars should have no problems changing between synthetic, semi-synthetic and mineral oils due to all of them having a mineral oil base. Semi-synthetic oils might be sufficient for you if you are on a tighter budget. High mileage oils were created to lengthen the lifespan of older engines. They include additives such as seal swelling, antioxidants, friction, and conditioners, that are designed to rejuvenate older engines, and offer better protection as well. When to use it: When your car officially managed to reach the upper tiers in terms of mileage, around 120,000km or so, that’s when you should consider using high mileage oil. This will help you keep the engine going for longer and minimize any potential engine problem that may arise.